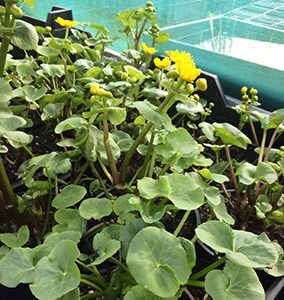 Marsh marigold are early flowering native spring perennials bring a splash of colour into the garden from as early as March but are at their best in April. 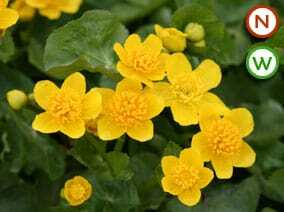 They can give a second flush of colour in August if the plants are trimmed back after their 1st flowering. 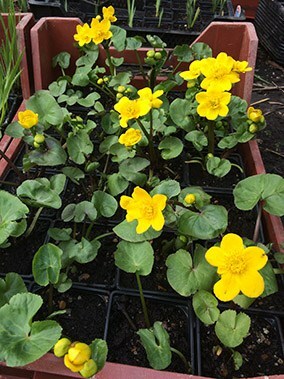 They have Yellow buttercup like flowers with glossy green leaves making a spectacular addition to pond margins and bog gardens and quickly grow to form large clumps which are easily divided to provide new plants in spring or autumn. 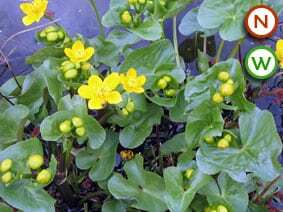 Calthas (Marsh marigold) grow well as either marginal or bog garden plants making them very versatile. 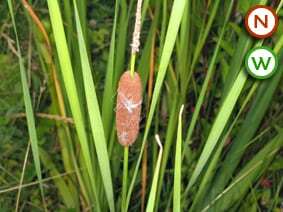 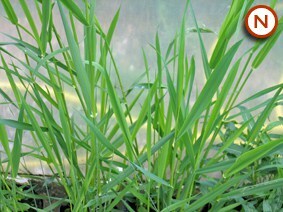 As marginal plants they will grow up to 20cm (8ins) under water; and can grow up to 50cm (20ins) in height. 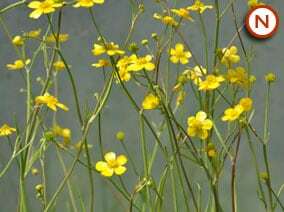 A valuable plant providing early nectar for bees and butterflies emerging from hibernation.